iPhone 5 to take over September iPod event? Supply chain rumours are still rumbling that Apple's iPhone 5 will be subject to some kind of delay. The latest chatter comes from Avian Securities, where analysts are saying that production on the new iPhone won't start until September. A note from the firm reads, "Conversations with yet another key component supplier indicates that production for iPhone 5 will begin in September. "This is consistent with Avian findings in the supply chain in recent months and we believe the consensus view is moving towards this scenario." 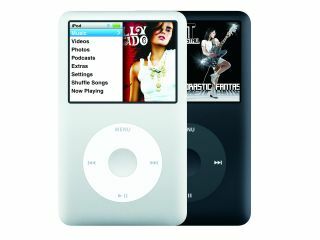 An iPhone 5 UK release date of September would put the iPhone 5 squarely into what has traditionally been iPod territory; Apple has always launched its iPod range refreshes at a music-themed event in early Autumn. New iPhones are usually revealed at WWDC, but given that the focus of this year's event is set to be software rather than hardware focused, a September iPhone release date is suddenly sounding more viable than ever before.